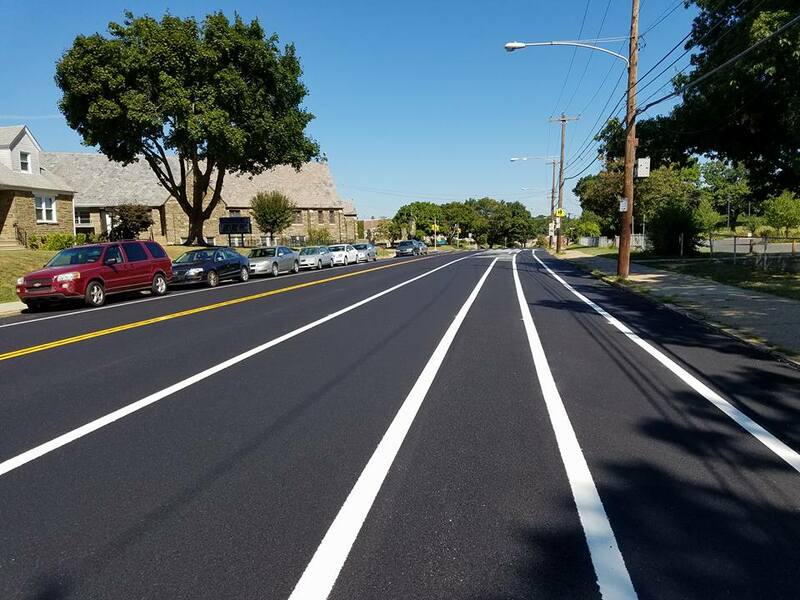 New buffered and protected bike lanes are being installed in Northeast Philadelphia—projects years in the making, which came about after many meetings and lots of work with Councilman Bobby Henon (D-6). 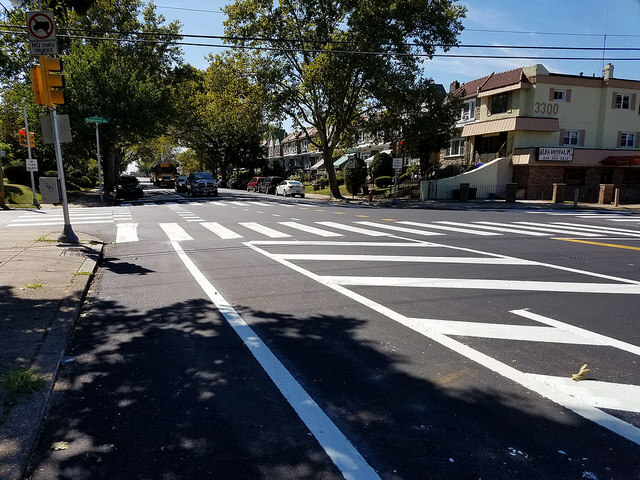 The bike lanes include a standard lane and road diet on Tyson Avenue which eliminates a lane of motor vehicle traffic, a bollard-protected lane on Frankford Avenue, and a parking-protected lane on Ryan Avenue. The Bicycle Coalition has been meeting with Councilman Henon over the last two years to figure out which streets in the 6th District, which includes neighborhoods like Mayfair and Bridesburg, had room and made sense for Philadelphia’s first protected bike lanes. After figuring out the advantageous streets, Henon met with community members, then introduced the ordinance to City Council, before work began. Henon proposed the parking-protected lane on Ryan Avenue, and got approval, last year. The picture below shows the two-way bike lane (on the left), and the parking lane (on the right). 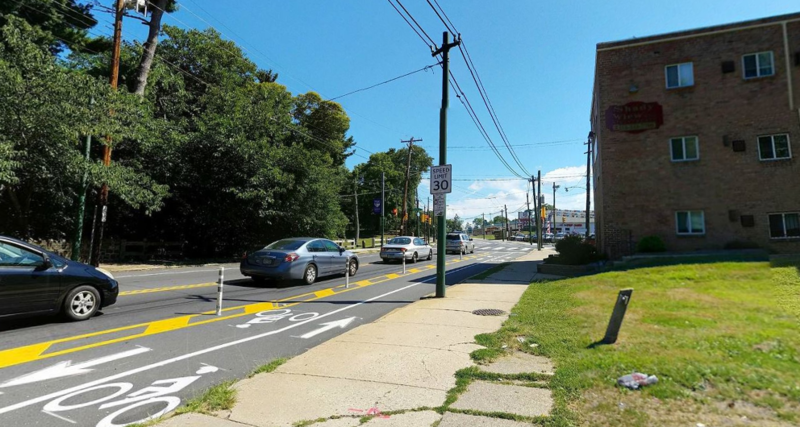 This summer, Henon proposed a new lane on Tyson Ave, which was approved unanimously by City Council—the first such lane that takes away a lane of vehicular traffic since 2012, when City Council passed a dangerous, cynical, ordinance requiring Council approval for such a bike lane to be installed. 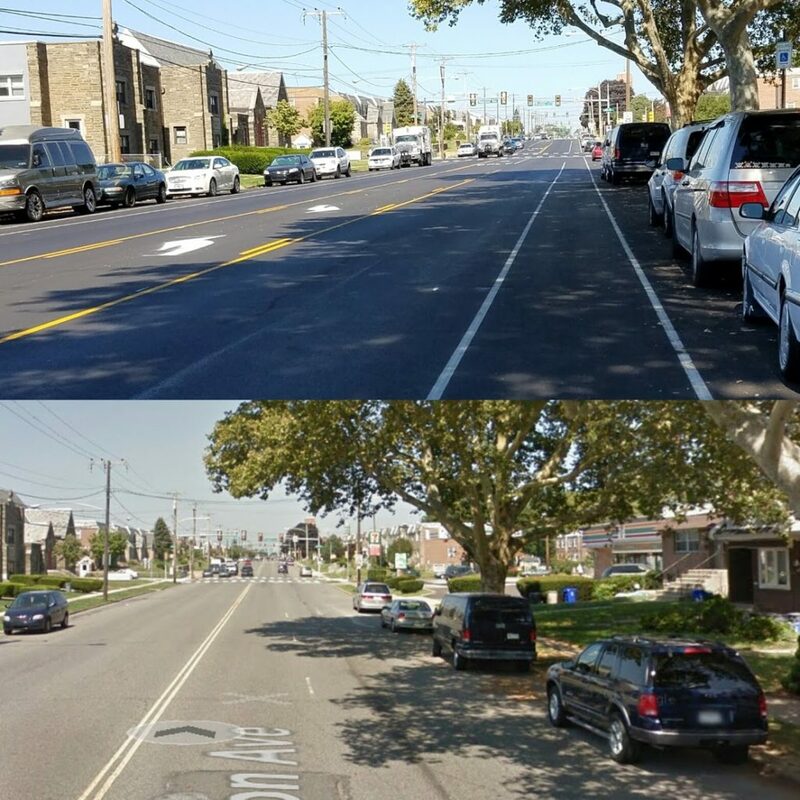 The photo below shows the result of the Tyson Avenue bike lane and road diet.